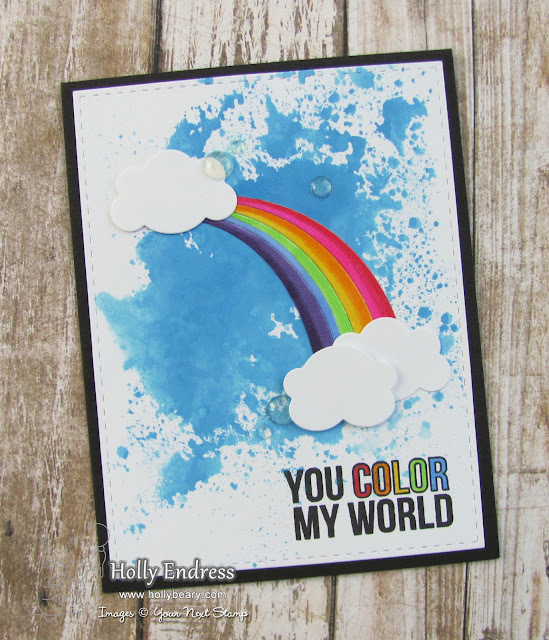 Hollybeary Creations : You Color My World!! Happy Wednesday everyone... It's time for our monthly Design Team Dare at Your Next Stamp. This month the team was challenged to create a project with the theme "Color Me Happy". 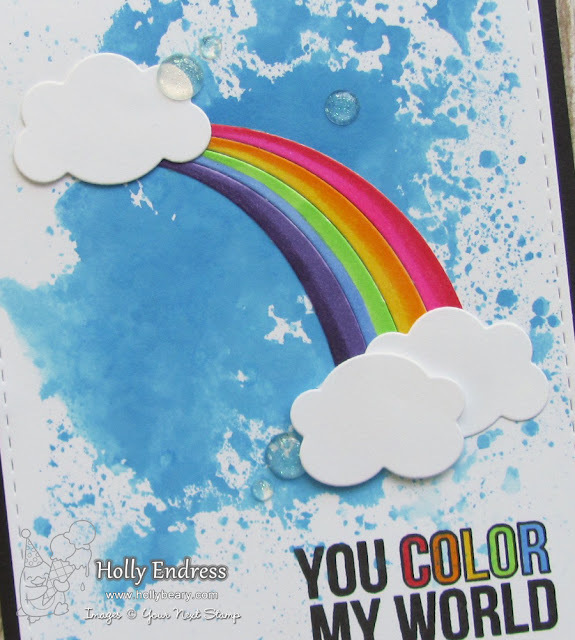 I created a Bright card using the Rainbow Fun Die and a great sentiment from One in a Chameleon set. I created a background on a piece of White cardstock using some Salty Ocean Distress Oxide Ink and then I trimmed the panel with the Large Stitched rectangle die from YNS. I adhered the panel to a Black card base and then I stamped the sentiment in the lower corner using some Black Olive Ink so I could color parts of it with Copic Markers. I die cut the clouds and rainbow image from some White cardstock and then I added some color with Copic markers. I adhered the rainbow with some liquid glue then I added a few of the clouds with some foam tape. I wanted a little sparkle so I added some Sparkle Gumdrops. This a Fun die set that has two rainbows and clouds to mix it up with. Head over to the YNS Blog to see what the other team members created and leave a comment while you are there for a chance to Win a stamp set of your choice.